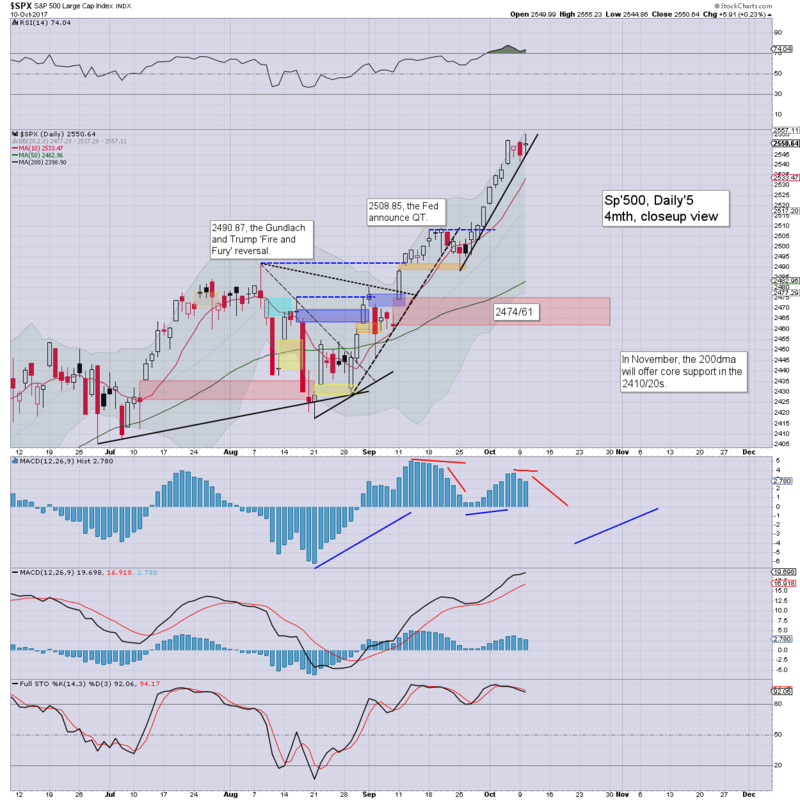 US equity indexes closed on the positive side, sp +5pts at 2550. The two leaders - Trans/R2K, settled higher by 0.6% and 0.3% respectively. VIX settled -2.4% at 10.08. Near term outlook still offers the basic 'technical necessity' of a gap fill of sp'2474/61, before the 2600s are realistically viable around Thanksgiving. US equities opened a little higher, and it was enough to generate a quartet of new historic highs in the sp'500, dow, nasdaq comp', and nyse comp'. Morning gains did fade though, with a few indexes turning fractionally red. There was another minor wave higher into the late afternoon. 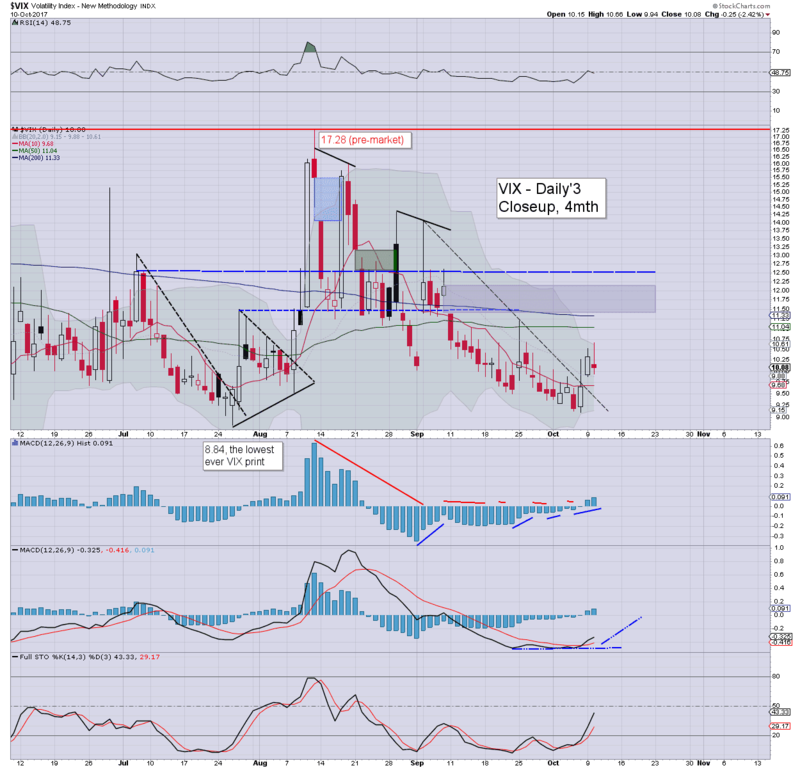 Market volatility remains very subdued, although the VIX did notably manage a second consecutive daily settlement above the 10.00 threshold. In theory, the 12/13s look a given, but its possible we might see the mid teens, with sp'2474/61. Right now, that looks out of range until at least the middle of next week. ... another day closer to winter.